Sometimes just having a lock screen password isn't secure or flexible enough to protect what needs protection. For instance, you might want to be able to hand your phone to somebody else to use but make sure they can't take over your Facebook and do something embarrassing. Or maybe you want to show a friend a set of photos you just took, but want to be assured they don't scroll too far and get to that one picture (you know what I'm talking about). 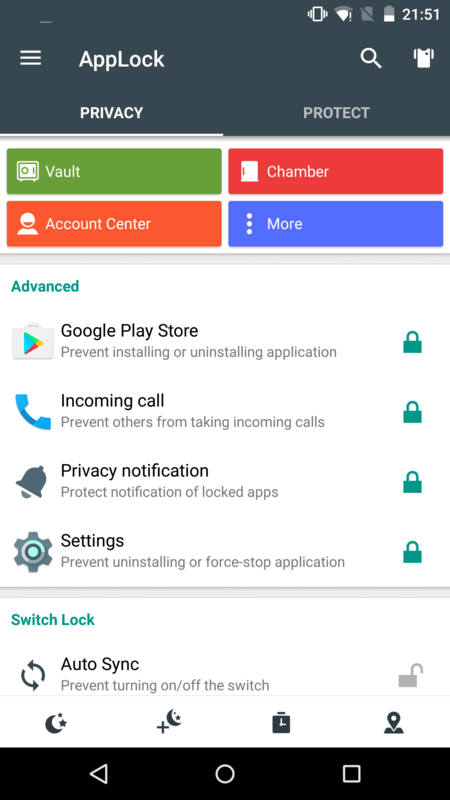 AppLock has your back, giving you both the security and the control to customize your privacy setup any way you want it. 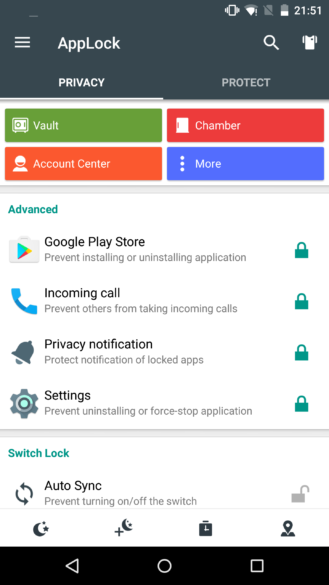 The feature AppLock is best known for is its ability to password protect specific apps. That way you can let your friends look at the YouTube video you just pulled up, but if they try to switch over to your Snapchat, they'll have to know your password. 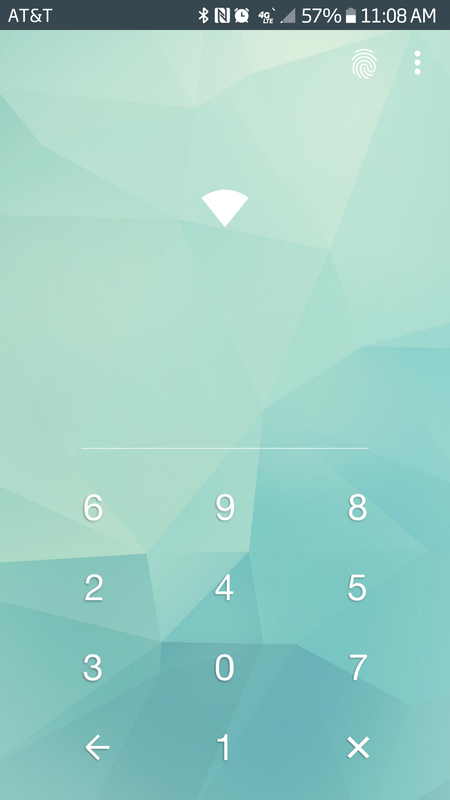 If you're not so big on passwords, AppLock supports fingerprints and pattern locks as well. A popular feature is locking the Play Store and in-app purchases, so you can let your little nephew play a game on your phone or tablet without worrying about the kid running up a big credit card bill for you. Beyond that, AppLock offers a ton of other features to keep your information safe. 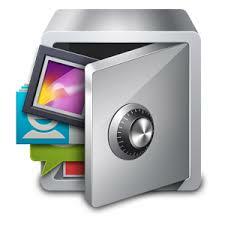 One of those is the vault, where you can pick specific pictures and videos to password protect. You can choose any photos or videos on your phone. 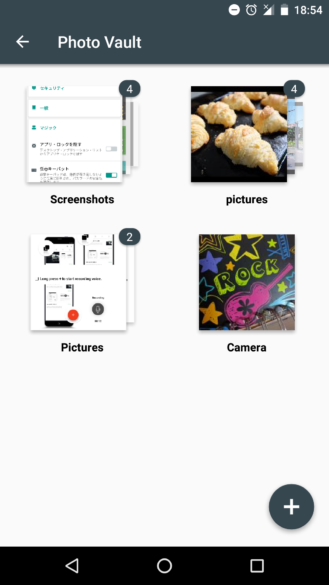 Once you do, they will no longer appear in your gallery app; you can only see them within AppLock. Taking them out of the vault is just as simple. 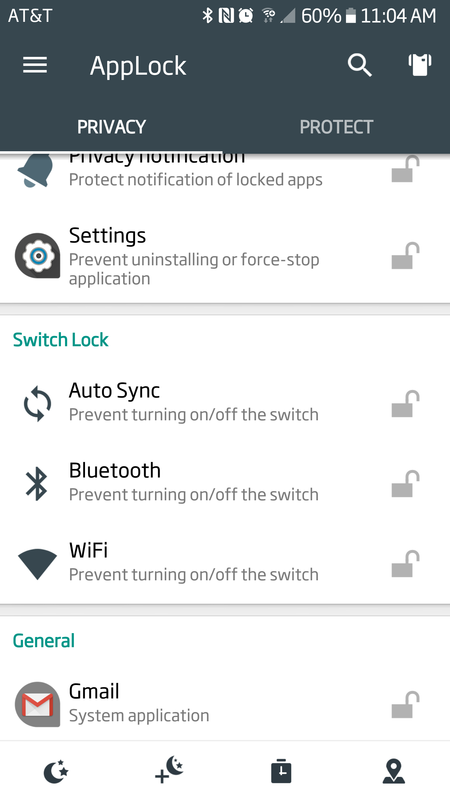 The settings include protections against people uninstalling the app, the ability to keep users from turning off WiFi/Bluetooth without entering a password, and setting different settings depending on the time of day and your location. The attention to detail doesn't stop there. For example, if you're worried that people may be able to figure out your password by looking over your shoulder and seeing where your fingers go, you can enable a randomized keyboard that mixes up the position of the numbers. AppLock also recently added an incognito browser, giving you a place to browse in a password-protected app that doesn't save your browsing history. 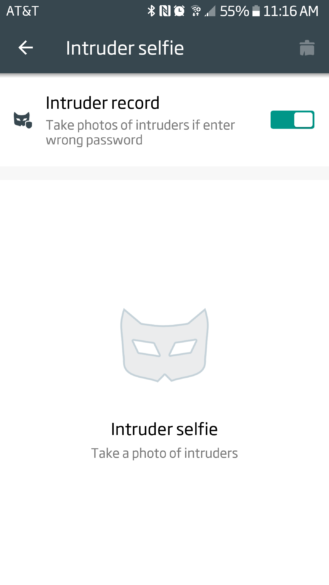 And if you want to know who tries and fails to get into your apps, AppLock has just introduced the Intruder Selfie. 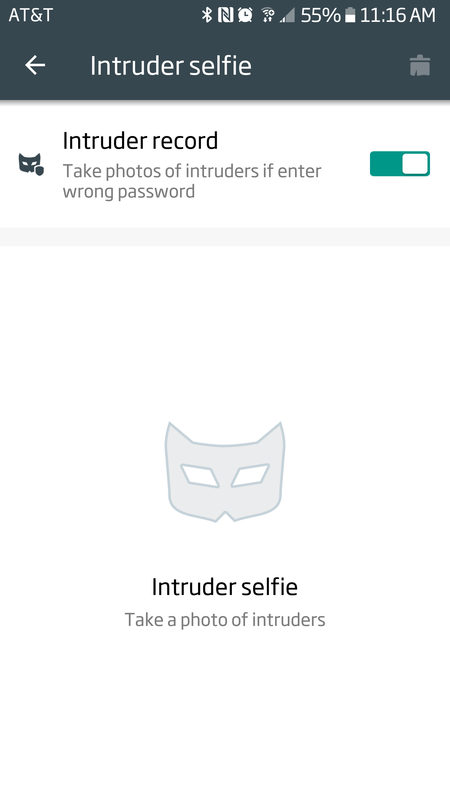 Like the name suggests, anyone who enters a wrong password will get their snapshot taken with the front-facing camera. 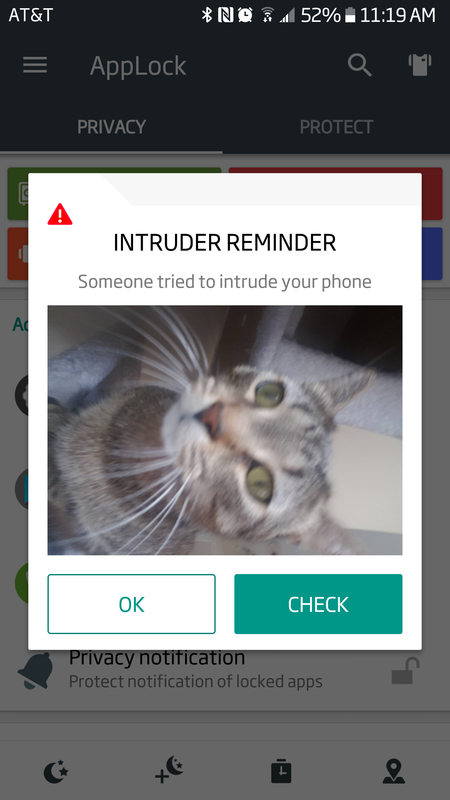 The next time you open AppLock, you'll get a look at the troublemaker. This particular intruder may not have meant too much harm. There's even more to AppLock than all of this, including themes. To learn more, you should download it at the Play Store—it's 100% free!